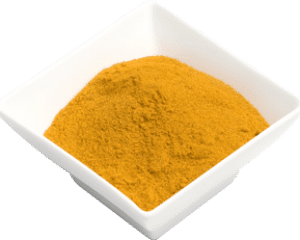 Turmeric Powder is a member of the ginger family and it is used both for its light and musky flavour and earthy mustard yellow colour that imparts a strong dark yellow hue to any dish. It has a slightly bitter taste and mild aromatic scent. It can be used as an ingredient in most curries that can also be used on vegetables, rice, biryani, tagines, stews, soups and spice rubs. It can be added to grilled foods, mashed cauliflower, sauces, and spice blends. It is used in Vietnamese stir-fried and soup dishes, and in Thai cuisine as in the yellow curry and turmeric soup. It is often used in place of saffron to replace the golden colour, but it cannot replace saffron’s flavour. As the Turmeric Alleppey contains the compound curcumin, some of its benefits includes a strong anti-inflammatory, antimicrobial, antioxidant and anti muta genic properties. It helps to prevent cancer caused by radiation. When incorporating in the diet, it helps to prevent pain of arthritis, bursitis, and tendonitis, and fight atherosclerosis. 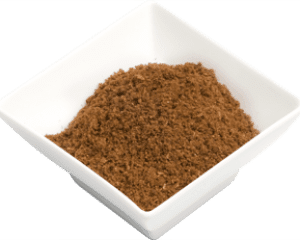 It is also used for heartburn, stomach pain, diarrhea, intestinal gas, stomach bloating, loss of appetite, jaundice, liver problems and gallbladder disorders. Also, it can be used to treat sore throats and cough when combining with honey. It is beneficial for the skin and when mixing with water and honey helps to stop acne. Turmeric tea can improve sleep and be soothing during illness. Other names or spelling: turmeric alleppey, tamaret, tormarith, turmerocke, tarmanick, tarmaluk, kurkum‘saffron, curcuma, curcuma longa, turmeric ground, turmeric root, turmeric powder, indian saffron, turmeric rhizome.